The stage was set. What we witnessed this year at the International Dental Show, and various other exhibitions that followed, was a change in the course of conversation. No longer are we comparing the accuracy and efficiency of intraoral scanners with traditional impressions. No longer do we question whether intraoral scanners are viable for prosthodontic, orthodontic, surgical and other dental treatments. In the realm of chairside CAD/CAM, dental professionals are now comparing these scanning technologies with each other instead and, frankly, this is where things start to get interesting. At IDS 2017, we compared intraoral scanners based on our hands-on impressions, as well as our interactions with sales representatives. During my research for writing the review article, one thing that piqued my curiosity was the method of image acquisition used by the Condor scanner. Software-driven was a buzzword that got thrown around at dental shows, but nobody was really able to provide me with a technical and satisfactory explanation as to what it is and how it is significant. 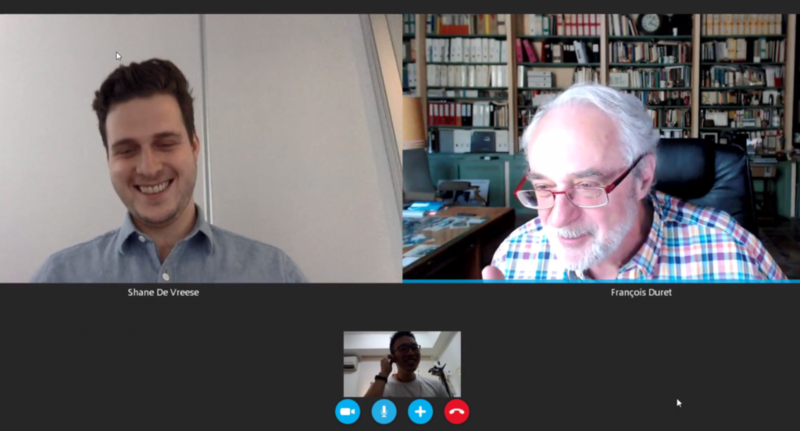 Last month, I was offered the opportunity to interview one of the co-founders of Condor Scan, Professor François Duret, whose 1973 paper Emprinte Optique (Optical Impression) introduced the application of CAD/CAM concepts to the world of dentistry. Having published hundreds of papers related to this field, Dr. Duret was the first to describe a viable solution to chairside milling of restoratives. Decades before the internet became popularized, he envisioned a world where these virtual models could be sent from one doctor to the next for professional consultation. Reading his texts, it’s obvious that his ideas were really far ahead of their time, and was limited only by the technology available at the time. The story of the first patient in history to receive CAD/CAM restorations. Needless to say, I had equal parts of anticipation and anxiety while preparing for this interview. Although I have read and respected many of his scientific articles, I also didn’t exactly give the Condor scanner too much love in the review article. Fortunately, my worries proved to be completely unnecessary, and our discourse was both thoroughly enjoyable and educational. In this article, with Dr. Duret’s permission, I would like to share what I learned of the philosophy and technology behind Condor intraoral scanner. Whereas most dentists, myself included, look at intraoral scanners as a replacement for the traditional impression tray, Dr. Duret sees the intraoral scanner as a diagnostic tool first and foremost. For him, the value of being able to acquire a 3D representation of the oral condition is the preservation of information and its utility in patient communication. This does not exclude the application in milled restoratives, which is vital to the economy of intraoral scanners. But, true to his original vision in the 70s and 80s, Dr. Duret believes that the connectivity among dentists and dental technicians is most important. Furthermore, the possibility of longitudinal patient history (as we saw from 3Shape), as well as the connection with CBCT means even more diagnostic potential. For this reason, Dr. Duret is not overly concerned with the accuracy of the scanner as long as it is good enough. To him, an improvement of microns makes little difference as far as diagnostics are concerned. Color, on the other hand, is then incredibly important. Before we get into why color is important, we need to first talk about how Condor is different from other scanners. At the moment of this writing, most intraoral scanners derive the 3D model of the oral cavity by manipulating and measuring the deformation of projected or structural light. In the 1970s, one of the earliest method of doing this was Moiré topography, which takes advantage of interference of projected dark lines on a textured surface and, combined with mathematical transformations, generates the distance data needed for 3D models. A more modern approach is the confocal microscopy method. Essentially, the camera captures only the parts of the image that are in focus at a predetermined focal length. By rapidly shifting the focal plane, a series of images can be put together to form a 3D model. (Fig) If it sounds complicated, that’s because it is. And, according to Dr. Duret, quite a few things can go wrong in the setup: the lens, laser, quality of light, light transmission, mirrors, and mechanisms to move the mirrors, just to name a few. Now imagine having to cram all that technology into the size of a handheld device AND trying to manage an accuracy that is measured in microns. This marvelous feat of engineering necessitates complex hardware, which are ultimately responsible for the high cost and large size of intraoral scanners. An illustration of a simplified confocal microscopy setup (US Patent 20100085636 A1). The basic idea behind the Condor scanner is to offload the majority of this complexity into the software, utilizing a concept called stereophotogrammetry. This technique is actually already fairly mature, and is what enables Google Maps to generate 3D topography. Using complex math algorithms, photos of an object taken at different angles can be converted into three dimensions. By letting the software do all the work, the scanner can be made drastically more simple than other intraoral scanners. 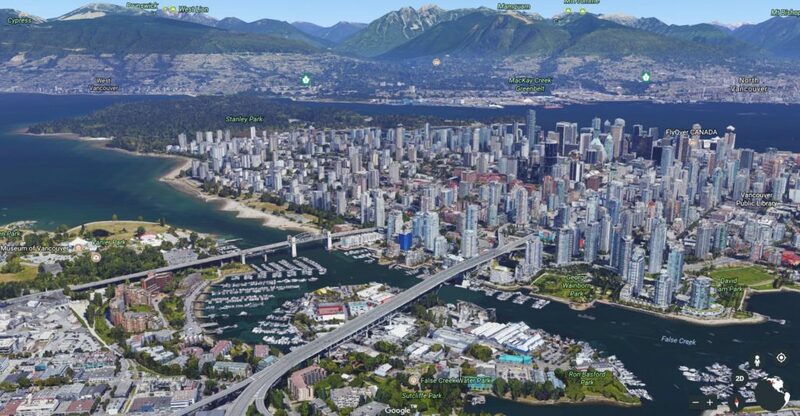 A view of Vancouver City using Google Earth, which generates 3D models using techniques based on the photogrammetry principle. According to Condor, the technology that dentists are purchasing, in a way, is mostly the software rather than the hardware. While hardware gradually becomes outdated over time, software can be easily updated every few months for fixes and improvements. In addition, patching in new features and functions is also a possibility. In the long run, if the resolution of the scanner head can no longer satisfy the demands of the software, it is also less expensive to replace the hardware due to its simplicity. Over the last few years, the evolution from gray-scale to colored digital impressions may seem like a reasonable and self-evident progression, but what we saw from IDS this year appeared to suggest otherwise. Out of the eleven scanners we reviewed, four of them did not scan in color. 3Shape also recently released the colorless version of its Trios called Trios Mono, so clearly there is market demand to sacrifice color for a better price tag. In this camp, the prevailing argument is that color information has always been absent on stone models, and so it is not essential. Trying to formulate a diagnosis using stone models is of course possible for, say, occlusal interferences. But for diseases and soft tissue disorders, color can become quite necessary. For the Condor scanner, color is not only very important, it is vital to the scanning process. The software uses color information in the photos to help determine reference points and calculate topographical features. Because the color is acquired directly, it’s primacy also allows the intraoral scanner to produce accurate colors, according to Dr. Duret. This is very different from the likes of other scanners that uses a separate, secondary camera to capture and map the color texture information onto the generated 3D model. For Condor, color is not just an afterthought, it’s part of what makes everything work. View of a sample using the web app from Condor. This perspective is perhaps less sought after, especially in contrast with the scan-and-mill utility that most dentists are familiar with, and for good reason. 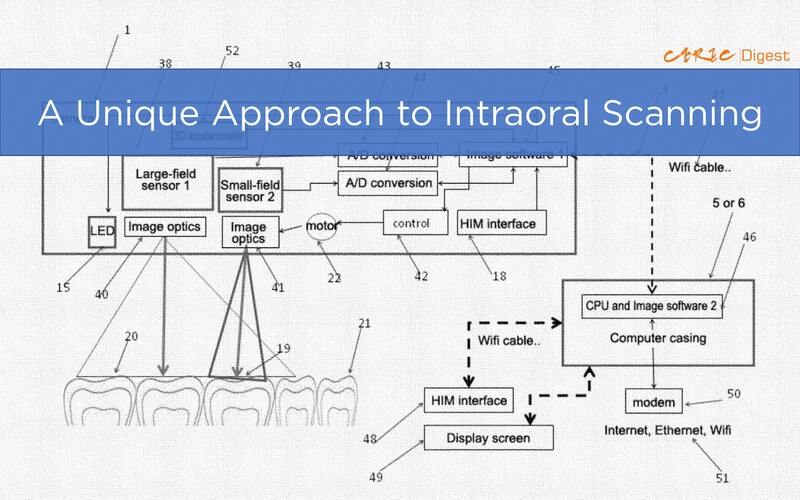 Intraoral scanners, for the most part, are an investment from which returns are expected. 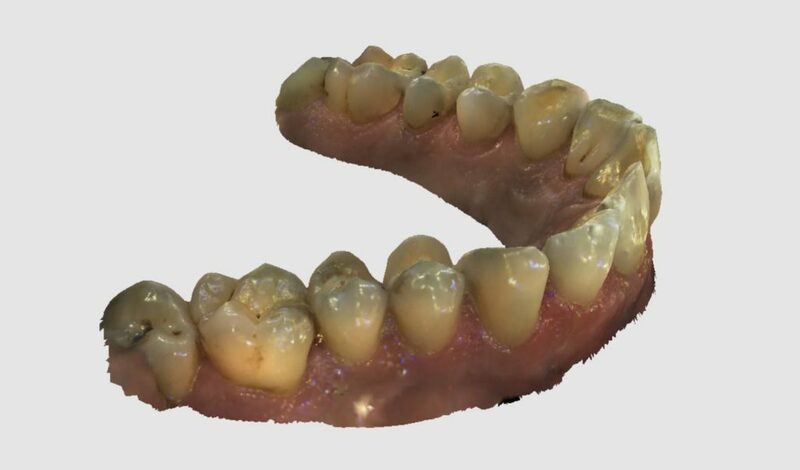 Compared with direct monetary benefits from milling your own restorations, diagnostics provide passive benefits that are less tangible and more difficult to quantify. Everyday when I use the CEREC with my remaining arm and leg, I’m deeply aware of the burden of dental economics. So with a massive price advantage over its competitors, how has the diagnostic-first principle of the software-driven Condor fared in reality? As a new kid on the block, the Condor scanner made waves last year with the unveiling of its small scanner size and realistic colors. Both of these features actually impressed us at IDS, as well as its cleaner-looking reproduction of the oral cavity. But, as I wrote in the review article, the biggest issue with the Condor was its slow speed. Unfortunately for them, the disparity was especially telling because I used the two fastest scanners as benchmark. With a software-driven framework, it is conceivable that the overall scanning process will improve with smarter algorithms and more powerful computer hardware. As long as the scanner is able to take clear photos, the accuracy limit of the 3D models is theoretically the amount of information contained within each pixel. The keyword, though, is theoretically, and whether your scanner will actually grow with the technology remains to be proven. Though to be fair, the emphasis on software solutions has seen its fair share of successes, from arithmetic calculators to the Tesla automobiles. So at least Dr. Duret team at Condor is standing on the right side of history. One of my favourite moments of the interview was when Dr. Duret was cheerfully describing how CADCAM used to be done, when he first started all those years ago. The painstaking model reconstruction, the struggle to generate 3D surfaces due to inadequate computing power, and the anxiety of failing the first live demonstration after years of practice and development. There is no hiding of his love for dental technology and CAD/CAM, or, as he fondly called it, his “baby”. To Shane De Vreese for graciously setting up this interview and, of course, to Professor François Duret himself for such a fun and lovely conversation. Brandestini, M, Moermann, WH. Method and apparatus for the three-dimensional registration and display of prepared teeth. US patent 4837732 A. June 6, 1989. Duret, F, Querbes, O, Querbes-Duret, V. Three-dimensional measuring device used in the dental field. US patent 20140146142 A1. May 29, 2014. Han, B. Shadow Moiré using non-zero talbot distance. US patent 20070086020 A1. April 19, 2007. Berner, M. Optical System for a Confocal Microscope. US patent 20100085636 A1. April 8, 2010. Bartoněk, L. Computer aided Moiré topography of 3D models of set of teeth. SPIE Digital Library, 2008.